Are you ready for the holidays? I am looking forward to a quiet time here at Casa Bookgirl. I don’t think we have any family coming to visit although my family tends to surprise me every once in a while. Hopefully I will get to see one of my dear friends next week but other than that, I’m kind of looking forward to some down time. 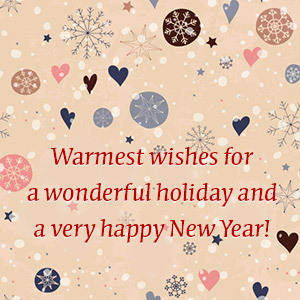 I wish you and your loved ones a wonderful holiday. Take time to read, rest and enjoy the moments. I think between now and Christmas I may brave the bookstore again just for a cup of mocha and a bit of browsing along the stacks. After Christmas I plan to have up my post on my favorites of the year and also I want to do a round up on the reading challenges I participated in this year. I know a lot of you are still working on your favorite reads as well so I can’t wait to find out which books made your favorites. Whatever you may be up to, I hope Santa brings you lots of bookish goodies and Happy Holidays! Merry Christmas! I’ll look forward to your list… I hope to get one up sometime next week, too. Downtime is the best! Enjoy! Merry Christmas Iliana! Have a wonderful day! A very Merry Christmas to you, Iliana, and special blessings for a wonderful New Year. Thanks for all the years of blogging together!